I’ve talked about how amazing Studio J is when you are short on time or new to scrapbooking. 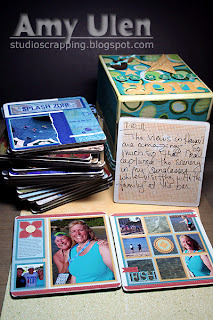 It really can be as easy as dropping in photos, coloring embellishments, adding a title and journaling. Yet, Studio J also lets our creativity shine when we have more time to spend. For instance, last night I decided that I wanted to learn how to make graph paper in Photoshop, so I did! I used the RGB codes for a Colonial White background and Chocolate grid to create my custom graph paper that will match the CTMH papers in Studio J. As I look at it now, I wish I would have added a little distressing, but luckily I can do that in Studio J. 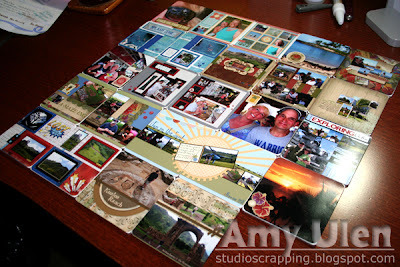 So, after creating the paper, I thought about a layout I had seen on page 24 of the November/December 2011 edition of Creating Keepsakes. I loved the circles that were cut out of the paper. I did the same on my graph paper and put a little drop shadow behind the circles. I figured out which photos I wanted to use and created my photo mats. 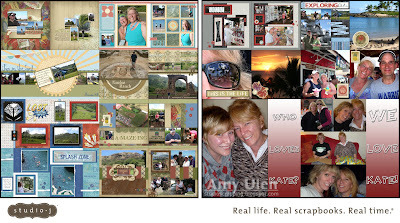 You can download the layered Photoshop file under my Freebies tab and watch this video to see how to add your own photos. 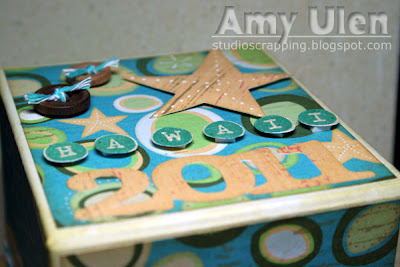 I really want to see what you create with this file (and my other Freebies! 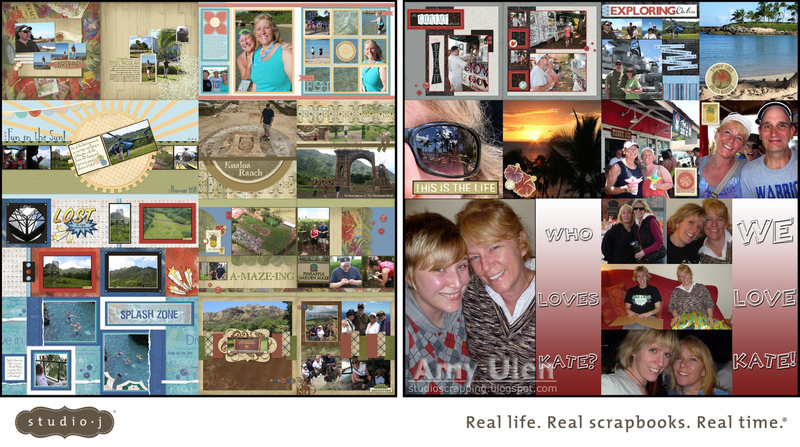 ), so please post your completed layout to my Facebook page! 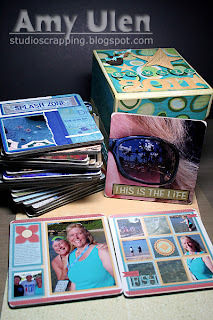 Don’t forget to leave a comment on the giveaway blog post to have a chance at winning a FREE Studio J 5-Pack (includes 5 layouts, page protectors, and shipping). Did you know that Studio J accepts transparent PNG files? This is so fantastic for those of us who download or purchase digital products online. When you drop a PNG file in a photo well, the background paper shows through. 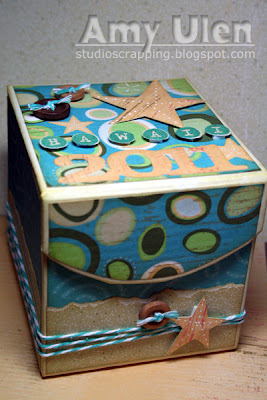 Here is an example using Katie Pertiet’s Postage Frame Clusters. I’ve had so much fun playing with these transparent files that I decided to create my own and offer them as a freebie on my blog. 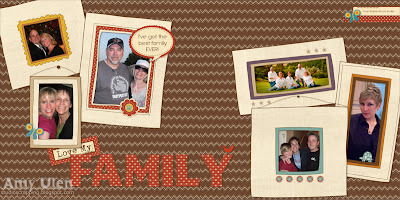 I hope you will download the file, watch the video, and make your own creation. 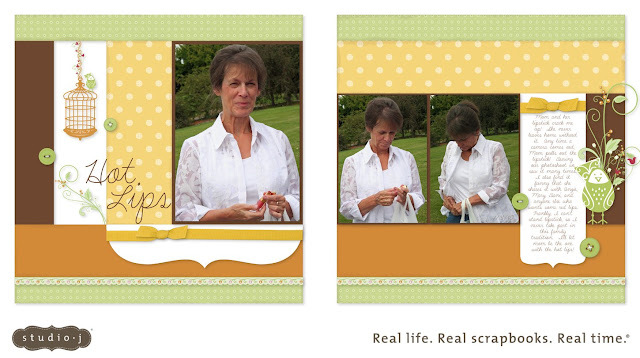 Please post it on my Facebook page to share with the Studio Scrapping community! 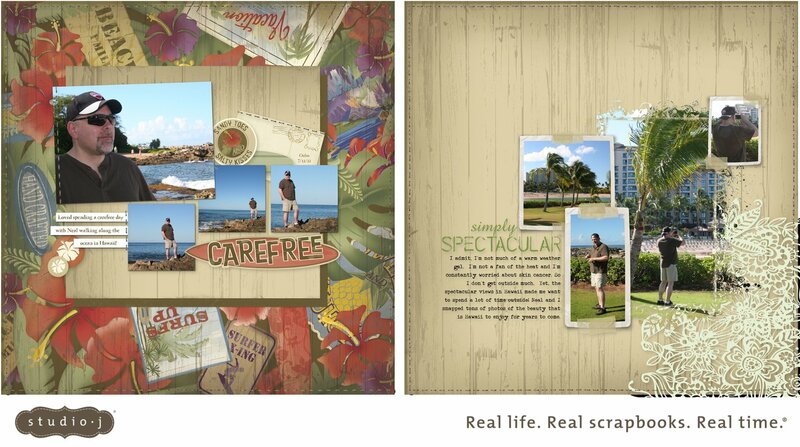 Learning how to use PNG files will also help you get the most out of the No Limits layout as I did in these layouts about Hawaii. 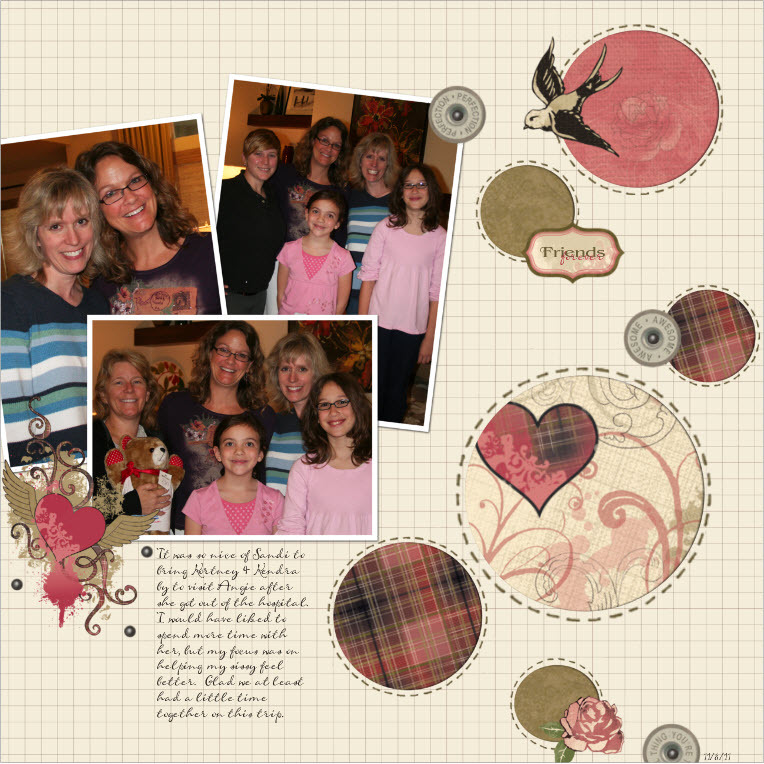 There is so much to love about my Studio J membership. From the 1/2 price layouts to exclusive content to free shipping, what’s not to love? But my favorite part of the membership is the fact that I get free JPGs of every layout. Within roughly 20 minutes (depending on how backed up the servers are) of ordering my layouts, I’m able to log into my account and download the free JPGs. 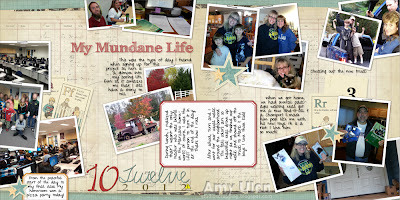 I’m then able to instantly upload the web-ready version to my blog and Facebook pages. 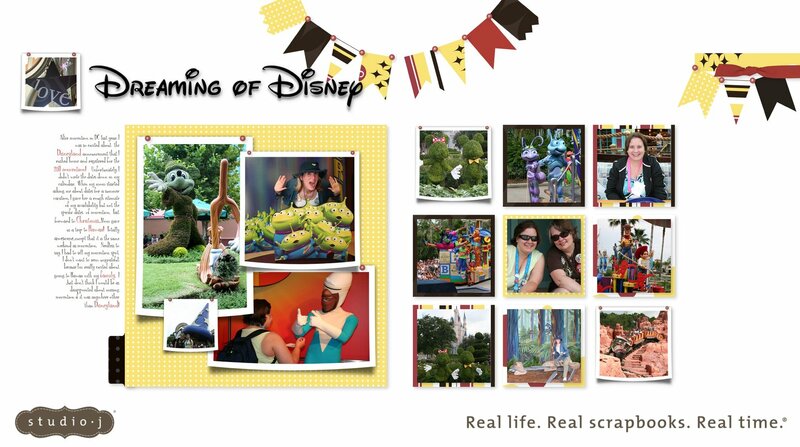 I can also easily email my layouts to friends and family to share memories with them. 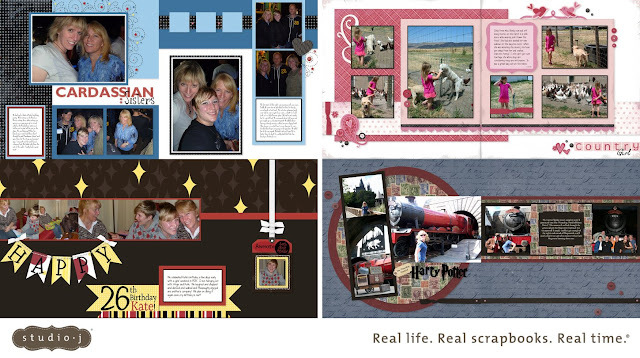 Yet, it gets even better as Close To My Heart also sends me high-resolution JPGs of each side of the layout. If my mom wants a copy of this layout, I can simply send her the high-resolution JPGs which she can drop in the No Limits layout on her Studio J membership and order her own copy. 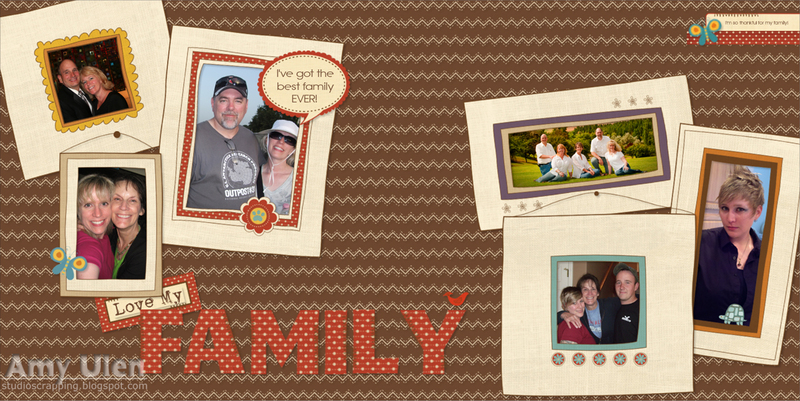 We can also upload the JPGs to her photo frame so the whole family can share in the fun! I also enjoy making 6×6 gift books using our board book and reducing the JPGs to 6×6 images in Photoshop. 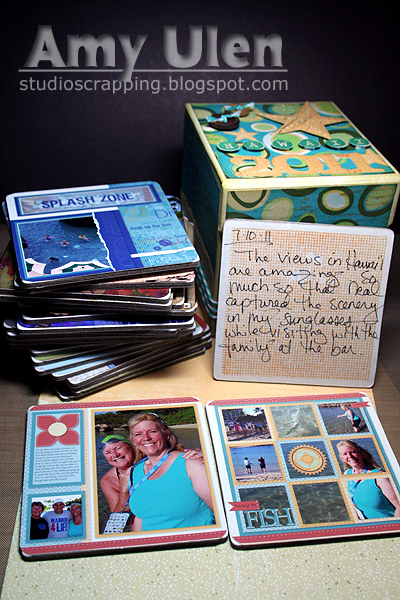 I’m able to get 8 pages of the mini-album on one layout to drop into No Limits for printing. Don’t forget to leave a comment on the giveaway blog post to have a chance at winning a FREE Studio J 5-Pack (includes 5 layouts, page protectors, and shipping)!